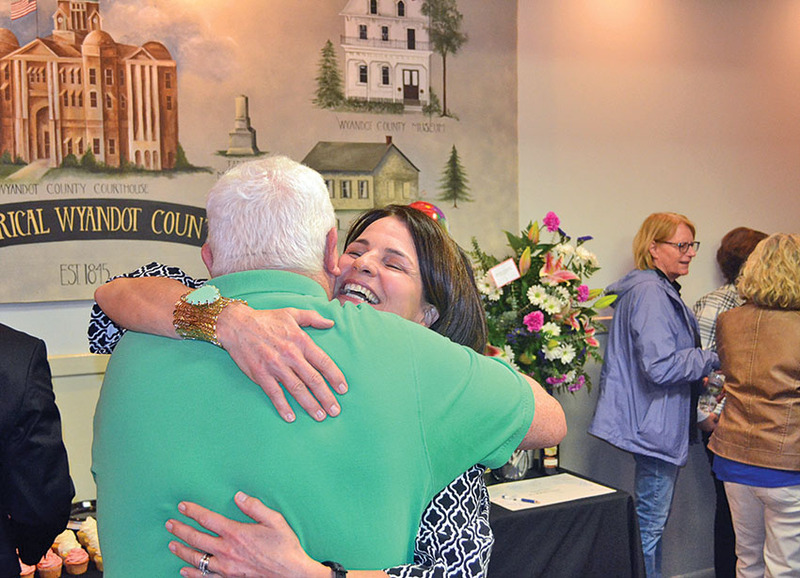 Local residents visited the Wyandot Chamber of Commerce Friday for a going-away party for Chamber President Kathy Grasz, who announced this week that Friday would be her last day. Grasz accepted a position as marketing director for the North Central Electric Co-op. 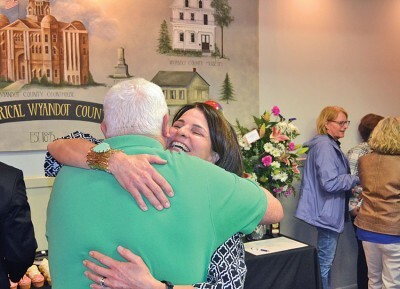 Pictured, Grasz gives a hug to Upper Sandusky City Councilman John Walker.